30×60 Tent Setup shown below. Capacity amounts are based on guests sitting at 5′ round tables with between 8 and 10 people at each table. 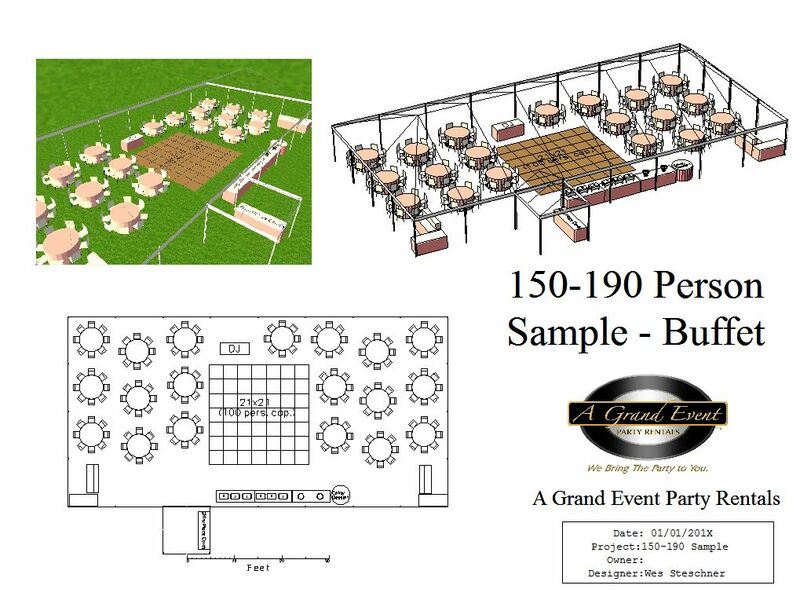 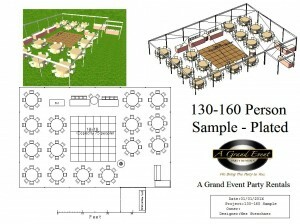 Also shown is a 15×15 dance floor that has a capacity of 50 people. 40×60 Tent Setup shown below. Capacity amounts are based on guests sitting at 5′ round tables with between 8 and 10 people at each table. Also shown is a 18×18 dance floor that has a capacity of 75 people. Entrance tent shown is optional as well. 40×80 Tent Setup shown below. Capacity amounts are based on guests sitting at 5′ round tables with between 8 and 10 people at each table. Also shown is a 21×21 dance floor that has a capacity of 100 people. Entrance tent shown is optional as well.